When last May’s season finale of “Once Upon A Time” ended with the promise of bringing the characters of the hit film “Frozen” to Storybrooke there was the fear that it was too soon. All of the fairy tale characters depicted so far had been around for decades while Disney’s version of Hans Christian Andersen’s “The Snow Queen” was barely half a year old at that time. Even the least cynical of viewers had to be wondering if it was just an attempt to cash in on “Frozen”’s crazy success to try to boost the TV series’ ratings. We are now four episodes into the new season’s storyline and anyone who has a lingering negative doubt should take a cue from the feature film’s most popular song and let it go. The big twist is that Elsa (Georgina Haig) is not the antagonist of the season, but rather her Aunt, the Snow Queen (Elizabeth Mitchell). Not-so-dear auntie has been hiding in plain sight as the owner of an ice cream shop and uses Elsa’s arrival in Storybrooke to frame her niece and wreak a little havoc. Of course, Emma (Jennifer Morrison) and Hook (Colin O’Donoghue) figure out the charade and before long Charming (Josh Dallas) and Snow White (Ginnifer Goodwin) are helping the younger Queen of Arendelle in her search for her sister, Anna (Elizabeth Lail). In the meantime, former Evil Queen Regina (Lana Parrilla) has embroiled her adopted son, Henry (Jared S. Gilmore) in a quest to discover the author of Henry’s book of fairy tales. Regina wants to enlist the original author in rewriting sections of the book to give her a happy ending. 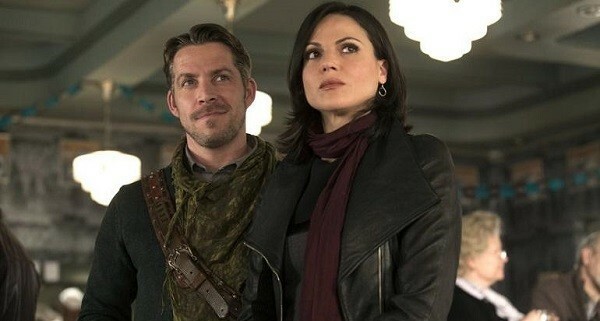 However, she is sidetracked with finding a way to unfreeze Marion (Christie Lang), the recently returned wife of the man who has both their hearts, Robin Hood (Sean Maguire). 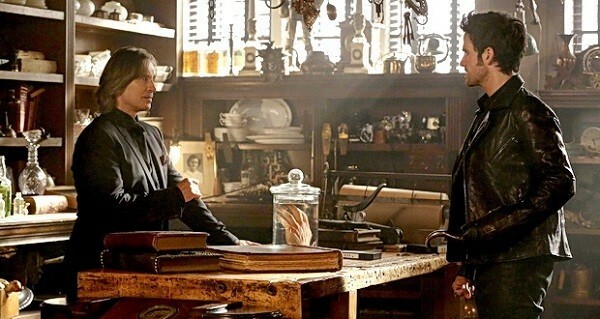 To say that there are no straightforward relationships in Storybrooke would be a monumental understatement. One of the main themes of this season so far is the conflict of not so nice characters attempting to fight their nature with varying degrees of success and sincerity. Regina could have quite easily returned to her nefarious ways with the return of Marion, but Henry, and to a lesser degree, Emma, showed her that there is a better way and she continues to try to walk the righteous path. 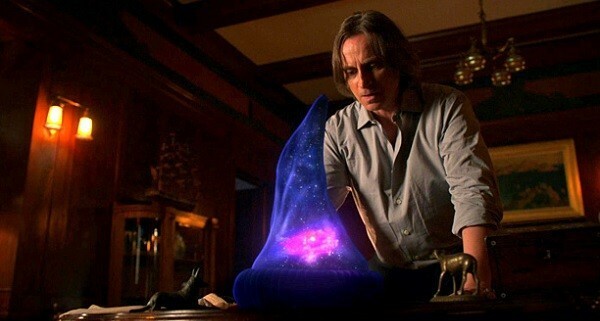 Mr.
Gold (Robert Carlyle) got a second chance with the love of his life, Belle (Emilie de Ravin), and renounced his previously malicious ways, but in words only. Hook has foregone his piratical past to be with Emma, but a series of unwise deals with Gold (aka Rumpelstiltskin) has shown him that the past is not so easy to escape from. Seeing the anti-heroes strive to be better people, either truly or by massive misdirection, makes for a very compelling show. “Once Upon A Time” investing heavily in its characters and their motivations is the show’s biggest strength and when it resists dampening that with a dull plot it fires on all cylinders. Right now, the folks making the show have found the right balance of chemistry, character wizardry and dynamically creative story. Here’s hoping they keep the ship (and ‘ships) on a true and steady course.